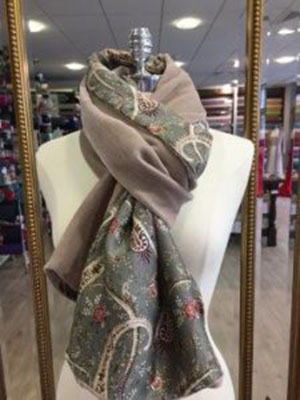 Exclusive to Roisin Cross Silks are our handmade silk scarves. They incorporate silk crepe, silk satin, silk velvet and silk chiffon in both plain and printed silk. They are competitively priced, ranging from €55 to €120. 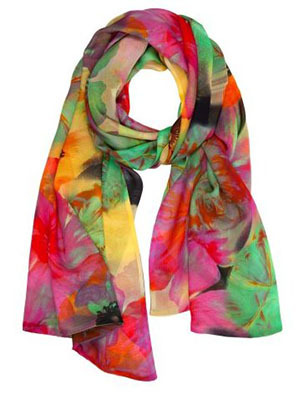 The standard square printed scarves are imported from the Far East. 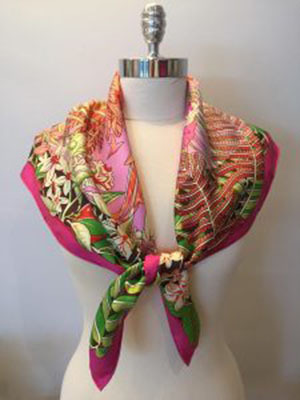 All of the other silk scarves are made by us, using our own exclusive range of silks. 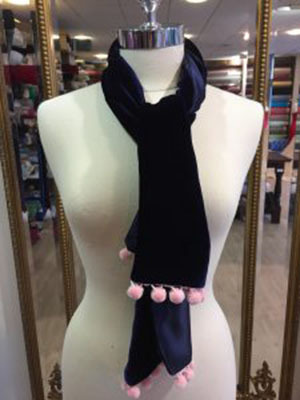 These have been sourced and dyed specifically for Roisin Cross Silks. 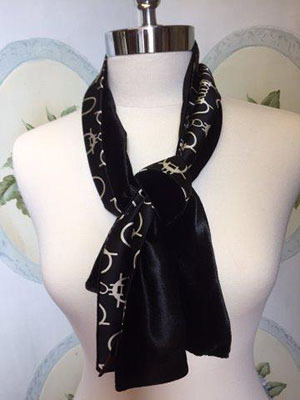 A scarf as a combination of a printed silk with a plain silk is unique to Rosin Cross Silks. As our scarves are handmade by our dressmakers from our fabrics, we can create different combinations throughout each season. This is hugely attractive whether buying for oneself or as a present. 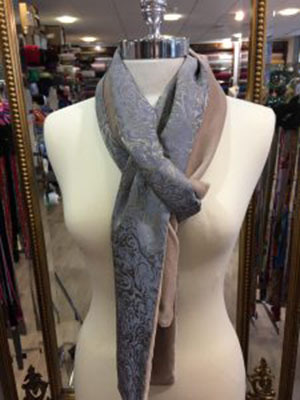 All scarves may be exchanged without any receipt and in perfect condition. All our handmade silk scarves and wraps can be gift wrapped in a box and bow or by mail order, at no charge.